It’s Halloween and Sara and Sean McKinley has decorated their house up as a haunted house. There are lots of goodies inside and out and all profits go to a local charity. They even have a reporter, Chloe Parsons filming a little bit about everything. Things are going well until they see the news later that day and learn that Chloe has been found dead. The police don’t seem to really be looking into her death and Sara has a feeling that she was murdered. Sara talks Sean into looking into her death and they learn that there is a lot more to her story than what you see. This is a great cozy mystery. Quick to read but will keep you guessing at who killed Chloe. There are several people that won’t miss her and Sara is determined to solve the case when her sister asked them to look into it. They are great investigators, even when they find themselves in a little deep. I just love how well Sean and Sara get along. But the thing that really got me was the charity work. I understand the Haunted House for charity. But I loved the PI firm that runs from charity. What a great idea!! 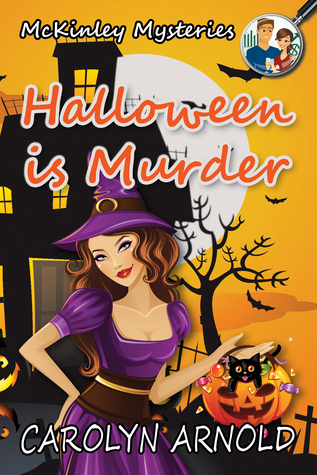 This is a great cozy mystery with a Halloween theme. It is the first book of Carolyn Arnold’s that I have read but it will not be the last. I can’t wait to start this series from the beginning. 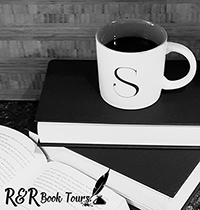 I received Halloween is Murder from Reading Addiction Virtual Book Tours for free. This has in no way influenced my opinion of this book. You are very welcome. Thank you for the wonderful story!! I did get the review cross posted also, sorry for the delay.